The highly-anticipated OBLIVION SONG #1 by Robert Kirkman (THE WALKING DEAD, INVINCIBLE) and Lorenzo de Felici will launch in comic book stores on Wednesday, March 7th. There will be no additional printings for this launch issue, so fans are encouraged to add this sure-to-be-hit series to their pull lists and hit their local comic shops in time to snag their copy. PORTLAND, OR, 2/16/2018 — The highly-anticipated OBLIVION SONG #1 by Robert Kirkman (THE WALKING DEAD, INVINCIBLE) and Lorenzo de Felici will launch in comic book stores on Wednesday, March 7th. There will be no additional printings for this launch issue, so fans are encouraged to add this sure-to-be-hit series to their pull lists and hit their local comic shops in time to snag their copy. 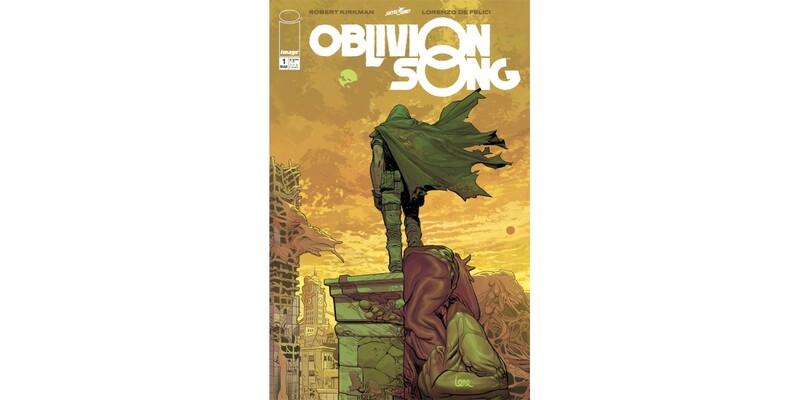 OBLIVION SONG #1 (Diamond Code JAN180587) and OBLIVION SONG BY KIRKMAN & DE FELICI #1 COLLECTORS EDITION (Diamond Code JAN180599) will be available on Wednesday, March 7th.